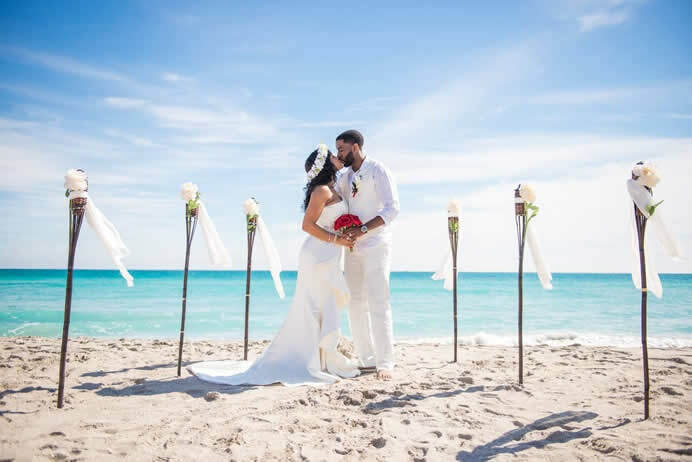 We specialize in convenient & laid-back Romantic Beach Weddings, Receptions, Vow Renewals & Elopement Ceremonies. Concept & design © 2019 All rights Reserved**. 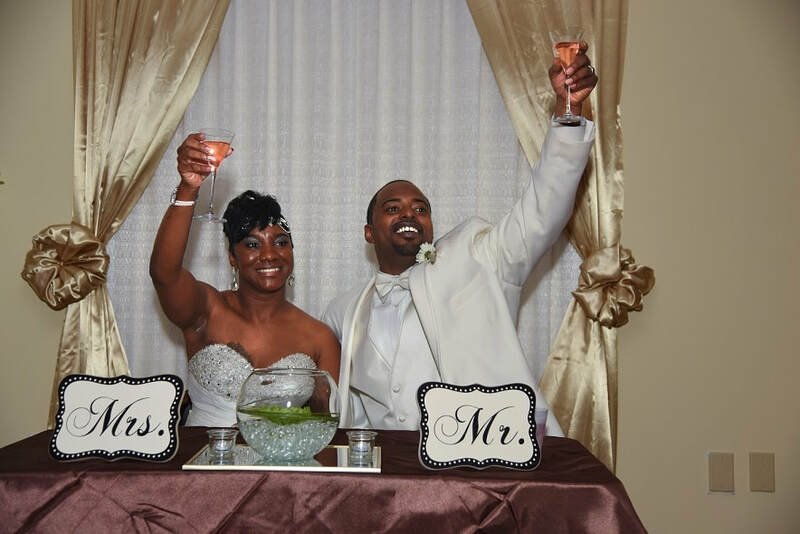 This package is great for Small Weddings, Elopements & Vow renewals. Quaint Simplicity is what makes this service ideal for couples looking for a no fuss wedding. 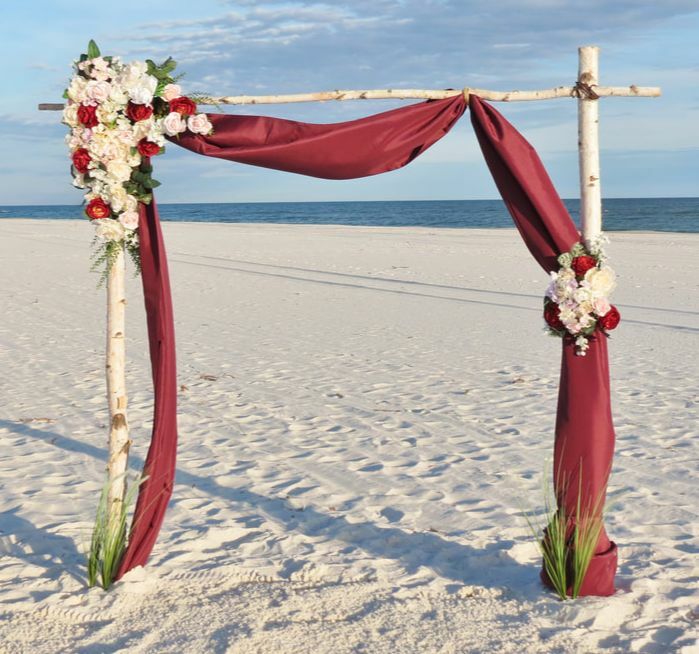 Get married inside this romantic Heart in the Sand overlooking the Gulf. Perfect for that getaway wedding. Includes a FREE Wedding Photo Session! 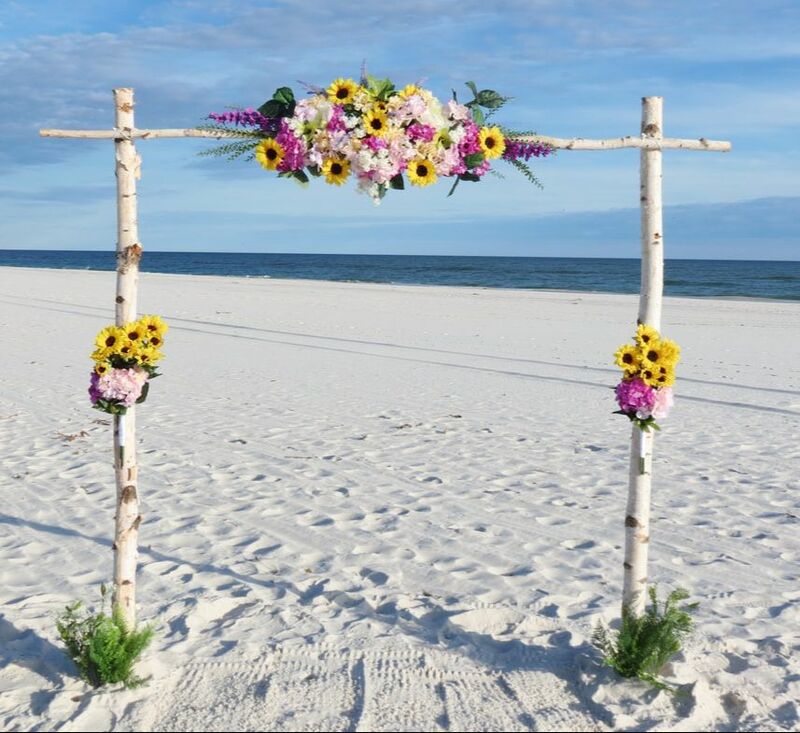 This NATURAL BIRCH WOOD ARCH features, lovely colors to brighten your day with the beautiful colors of Summer… Cute as a button!… A true favorite this Summer. It is an adorable & cheerful choice for that couple looking for a minimalist look. 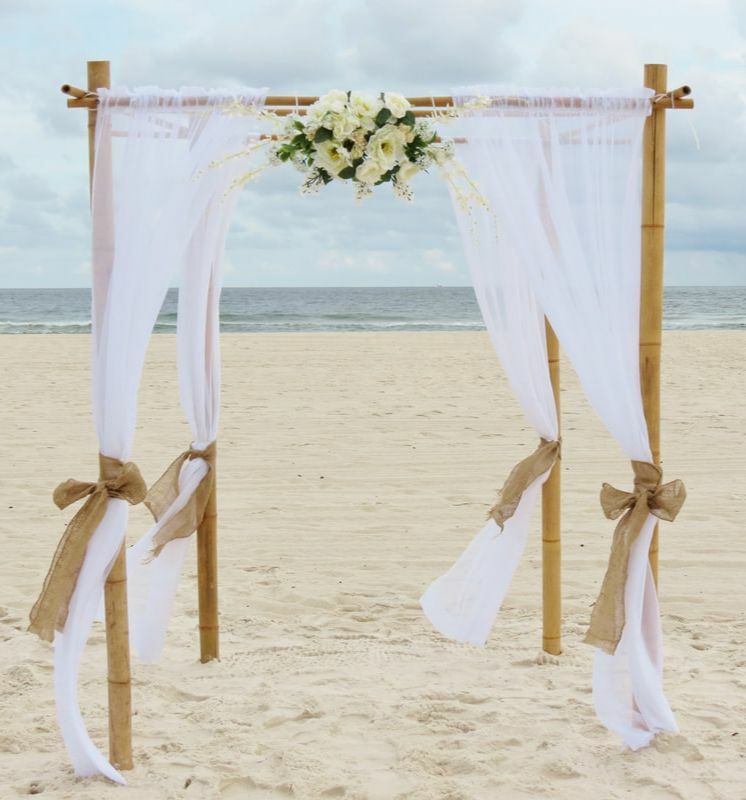 An elegant and modern approach to a classic Beach Wedding favorite: The Bamboo Wedding Arch. Perfect for the couple who want to lose themselves in the romance and magic of the the moment. Romantic and innovative design featuring Light Coral & Seafoam (Mint) color Fabric. 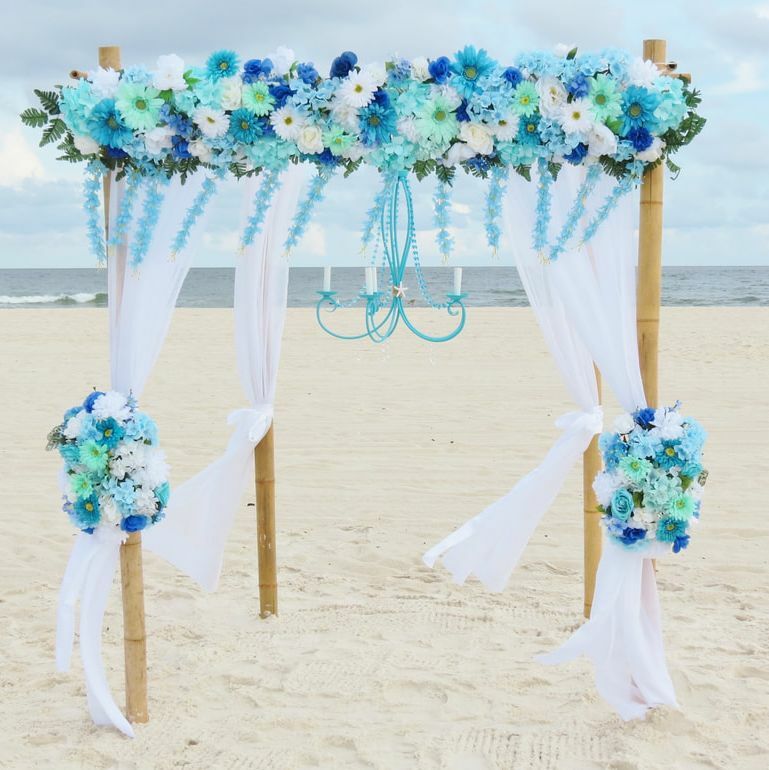 Sensible Wedding Arch with the right amount of playfulness and sweet elegance. 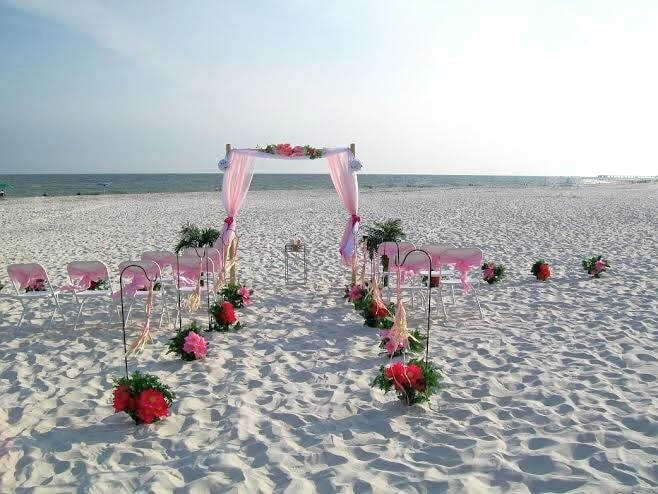 A great set up for any size beach wedding. 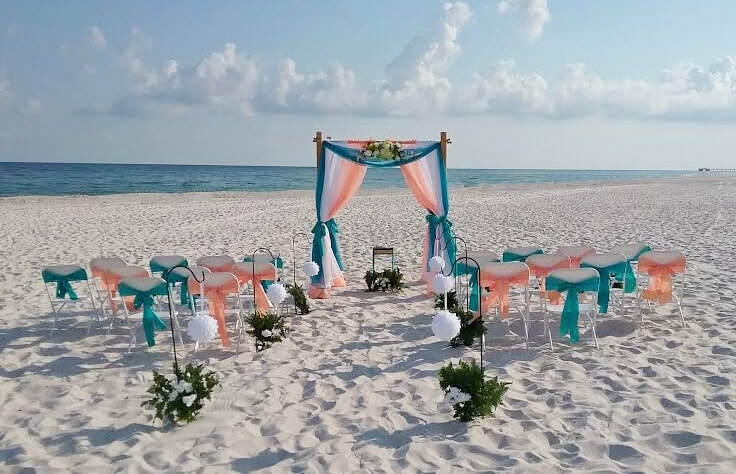 Enjoy a bit of Paradise on your wedding day. Our designers went the extra mile to make this service a unique experience. Includes an 8 poles bamboo arch, premier large floral arrangement for the top, plus 2 matching side floral arrangements. 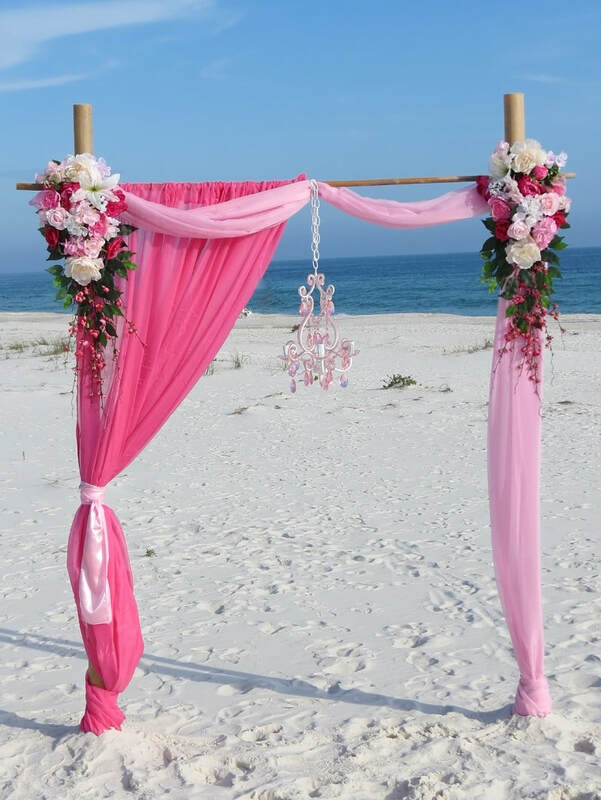 This wedding set up is so cute… your sweetheart and you will have an enchanted wedding with our “Pink Dream” theme wedding. A true Blush & Pink lovers dream come true. This beautiful NATURAL BIRCH WOOD ARCH features, Delicate Lace Fabric, matched with a touch of Country Whimsy, with our cowboy/cowgirl theme display. It is an adorable choice for that country at heart kind of couple. CHOOSE YOUR WEDDING COLORS - Choose the Color of your wedding from our selection of available colors and make your special day a memorable moment in your life. 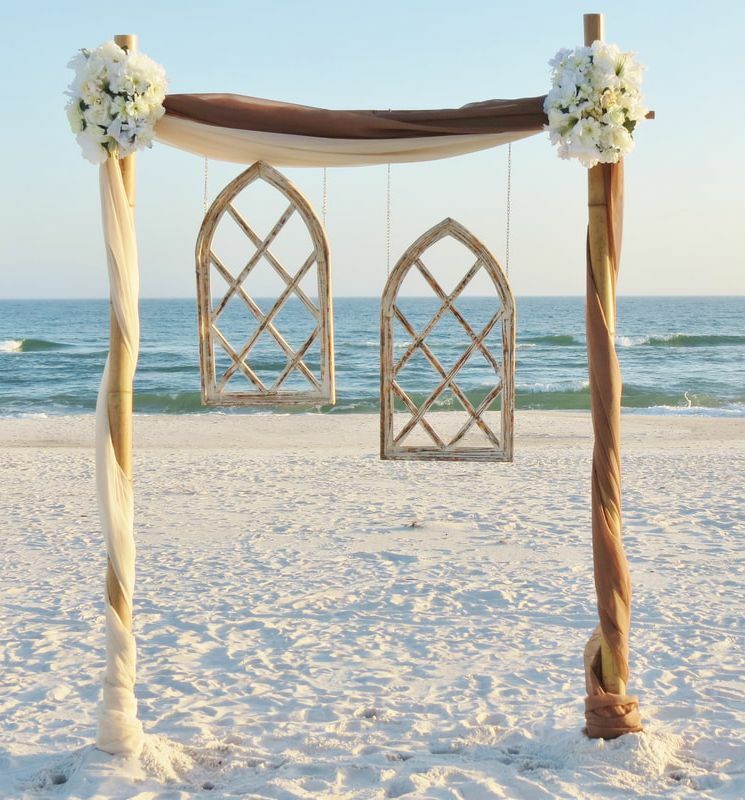 Astonishing Wedding Arch, features superb vintage Architectural focal points to make your wedding unique & unforgettable. 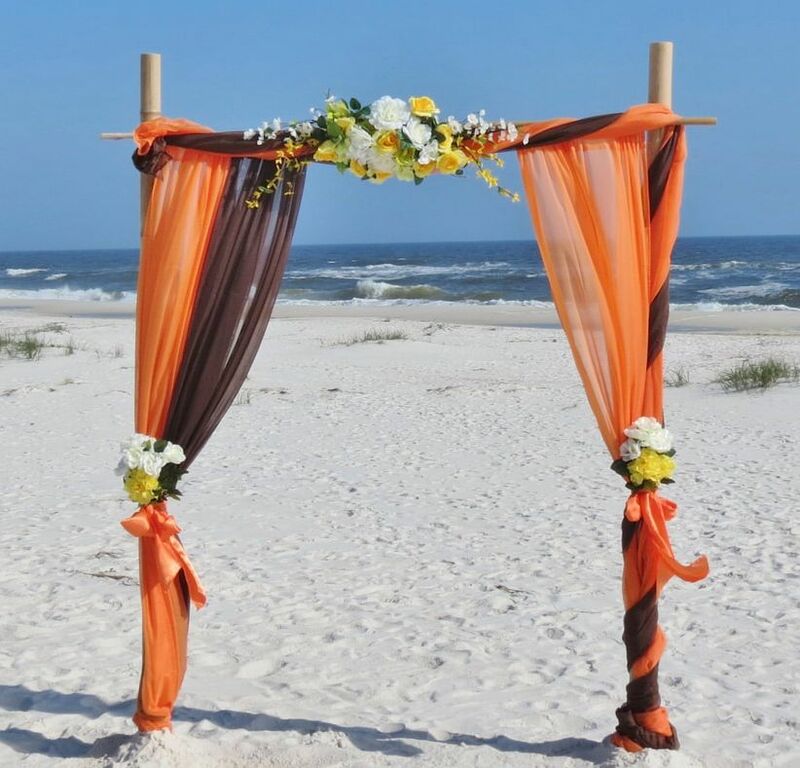 tangerine & Chocolate Wedding Arch. Looks so good together, just as opposites attract…. 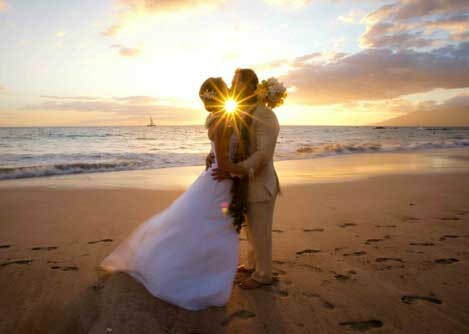 Your tropical wedding in Paradise. Enjoy the timeless elegance of this beautiful 8 pole bamboo arbor, set in traditional wedding white. A beautiful NATURAL BIRCH WOOD ARCH decorated with Crimson / Burgundy fabric and lovely pink & burgundy silk flower arrangements. 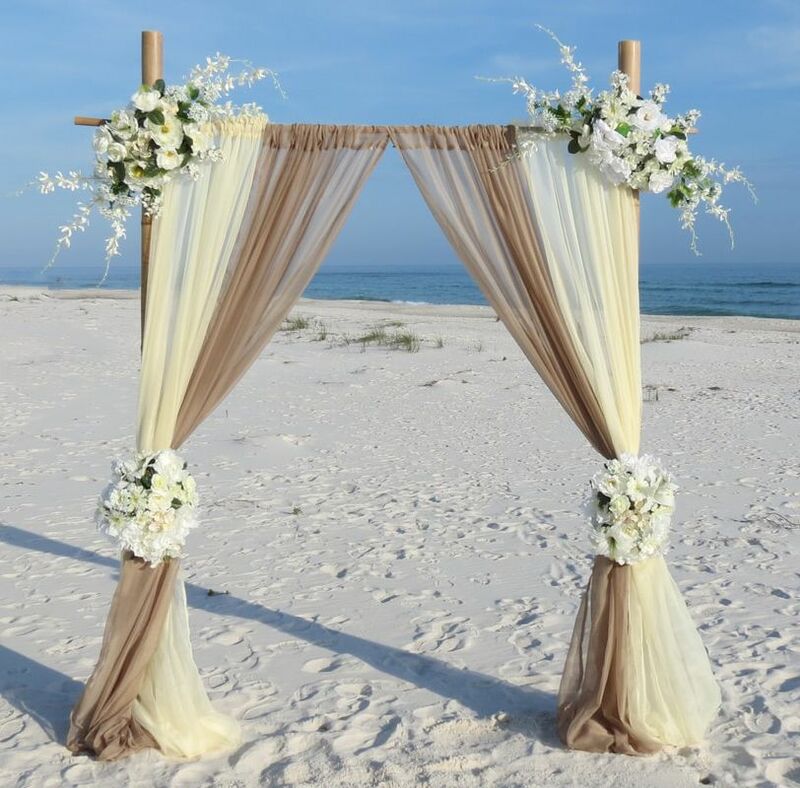 Enjoy the timeless elegance of this beautiful 3 pole bamboo arbor, set in Cream and Tan/Taupe color fabric and wonderful off-white flower arrangements… Sweet as Cookies an Cream. 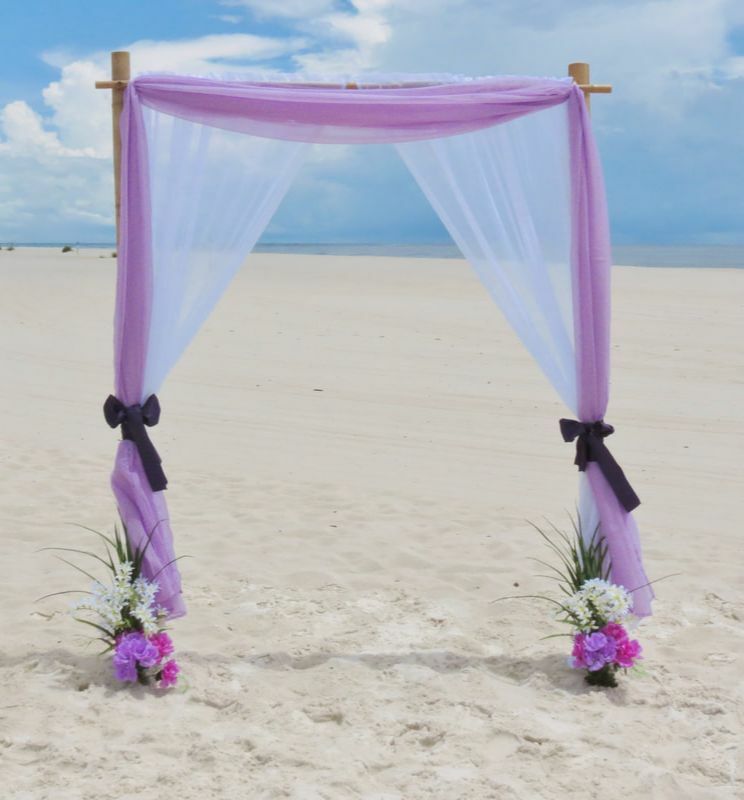 Creativity at work to make this Wedding Arch as special as an Enchanting Melody. It looks so good and matches with almost anything. CHOOSE YOUR WEDDING COLORS - A nice twist on our "Seaside Treasure" wedding package. You may customize the color theme of your wedding by choosing from our expanded inventory of colors. Blush’s all the rage this wedding season and we’ve got this one of a kind Wedding set up just for you. It features a lovely pink chandelier. Every detail is executed to perfection, including the stunning floral arrangements on this Blush & Wine Wedding Arch. The perfect combination of rustic elegance and seaside beauty. 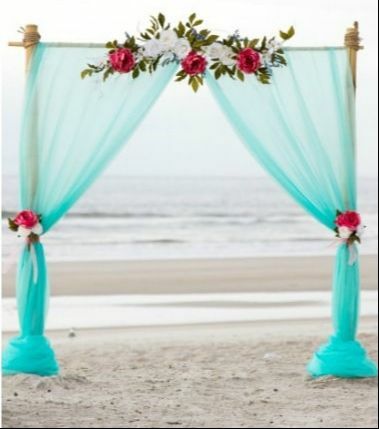 A lovely set up for any size beach wedding. Timeless vintage style burlap and white colors. A perfect combination made for you, featuring Turquoise and Purple colors. Just the right amount of lovely whimsy and elegance on the beach. 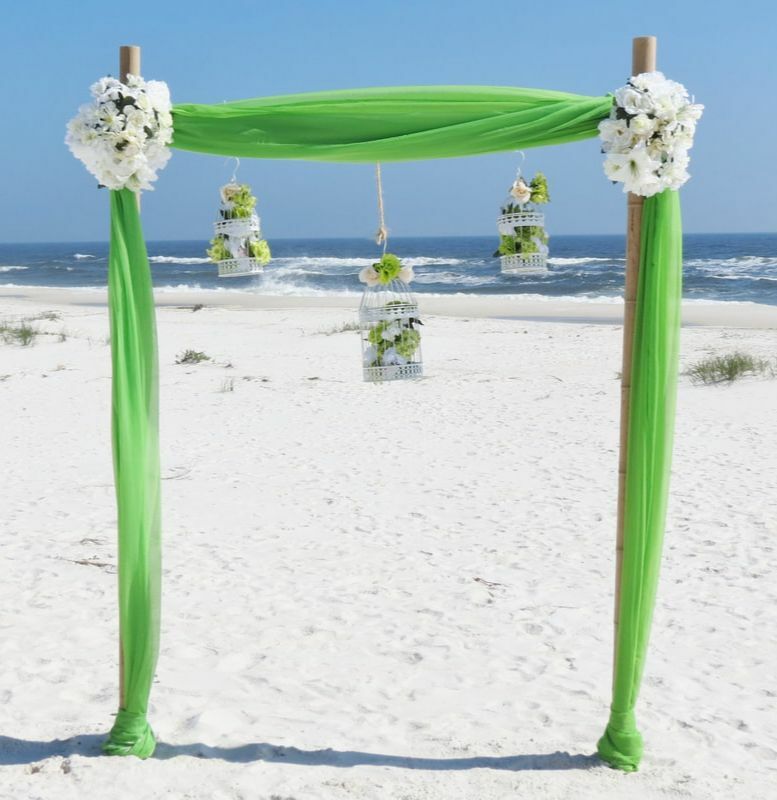 A nice set up for any size beach wedding. 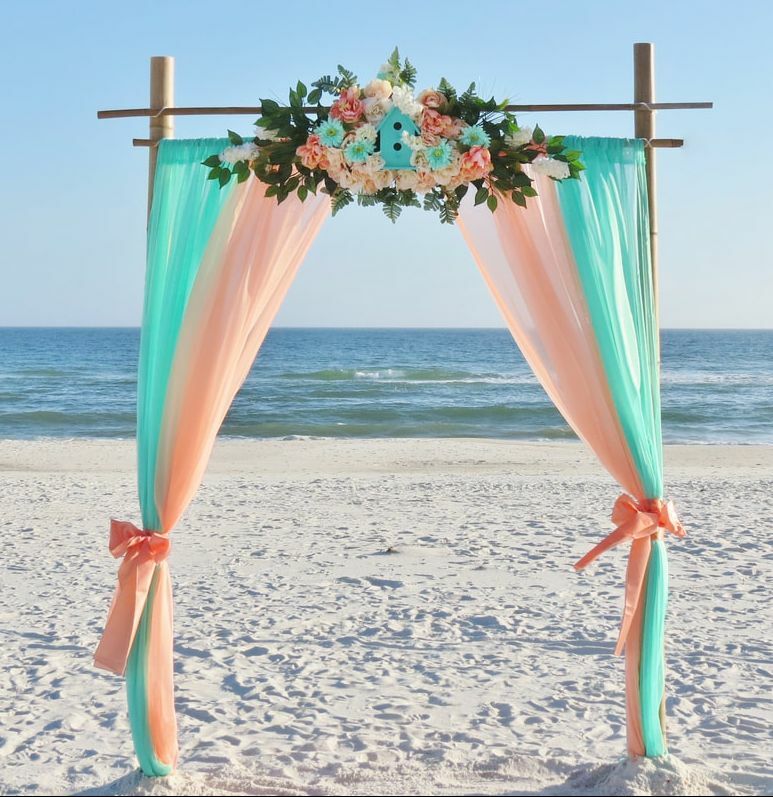 CHOOSE YOUR WEDDING COLORS - Featuring a complete wedding set up with a 3 Pole Bamboo Arch, aisle way decorations, 10 chairs, chair sashes and custom colors. For our couples that want it all. 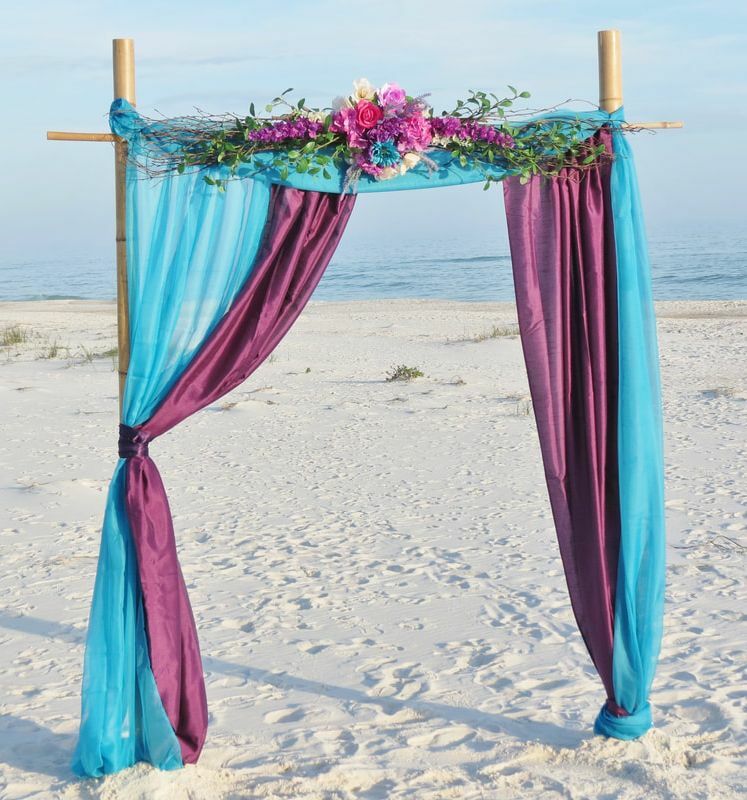 CHOOSE YOUR WEDDING COLORS - The ultimate Beach Wedding Set up with all the trimmings. 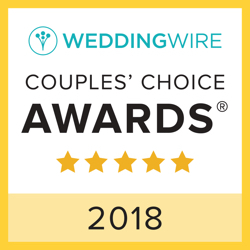 Featuring a complete wedding set up with an 8 Pole Bamboo Arbor, aisle way decoration, 20 chairs, chair sashes and custom colors. 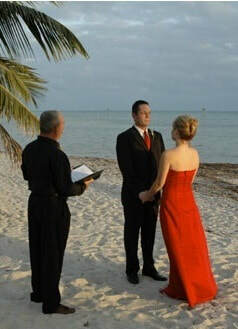 Renew your vows or "Tie the knot" on the beach with our Minister services. Perfect for the couple looking to get a simple ceremony for two. FREE SMALL PHOTO SESSION included with this service. 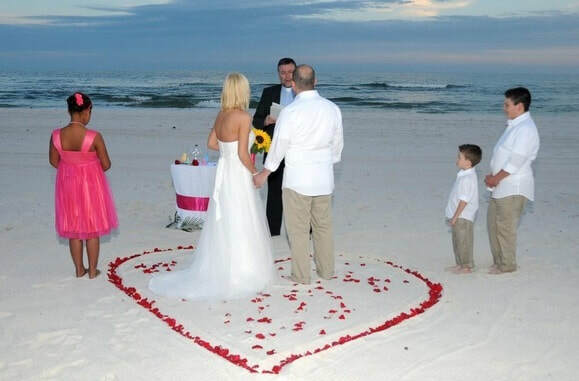 A lovely beach All Inclusive Wedding with Ceremony, with a Catered Reception. 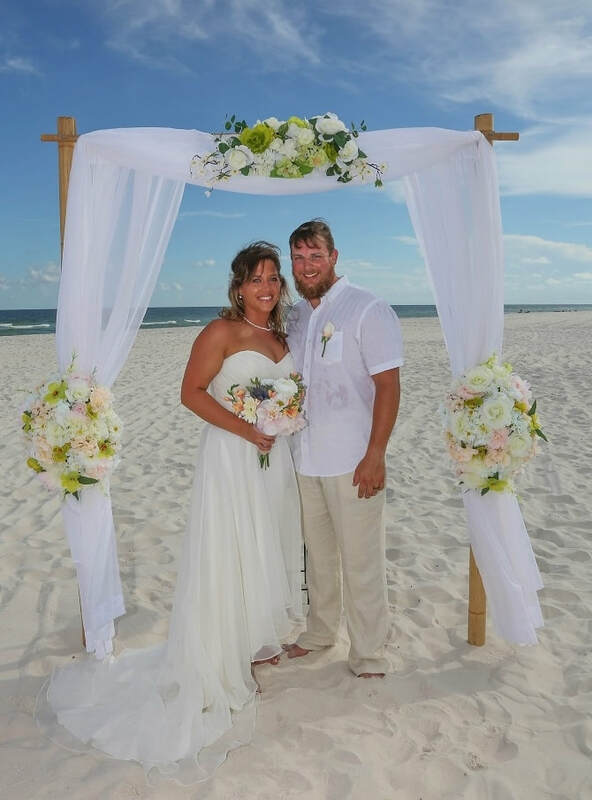 This package includes, Orange Beach Ceremony Location, Orange Beach Venue for the Reception, adds three hours of DJ music, Wedding Cake, Catered Food, Staff to set up & serve your event, Photography, Bridal Flowers, Decorations and more. 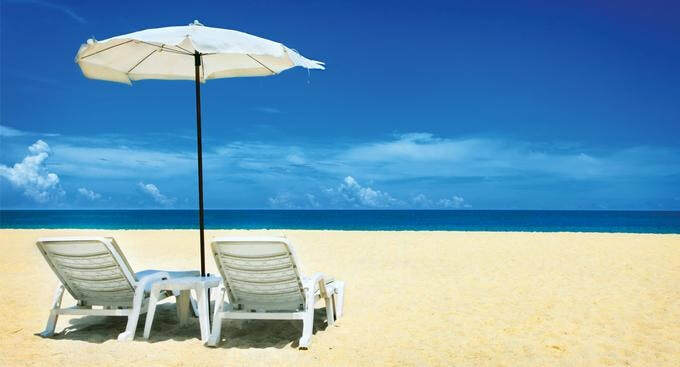 This packages include the essentials to have a lovely Beach Wedding and Luncheon Reception at a very affordable price. 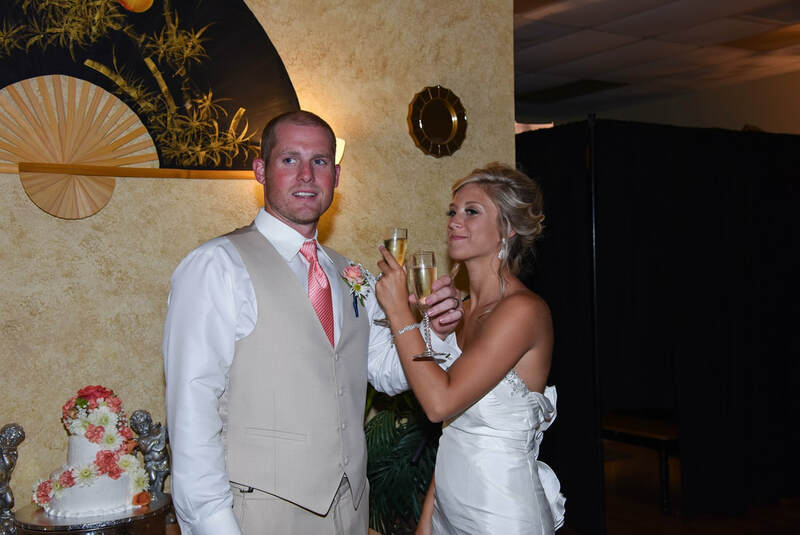 A great package to have your Ceremony & Reception without breaking the bank. 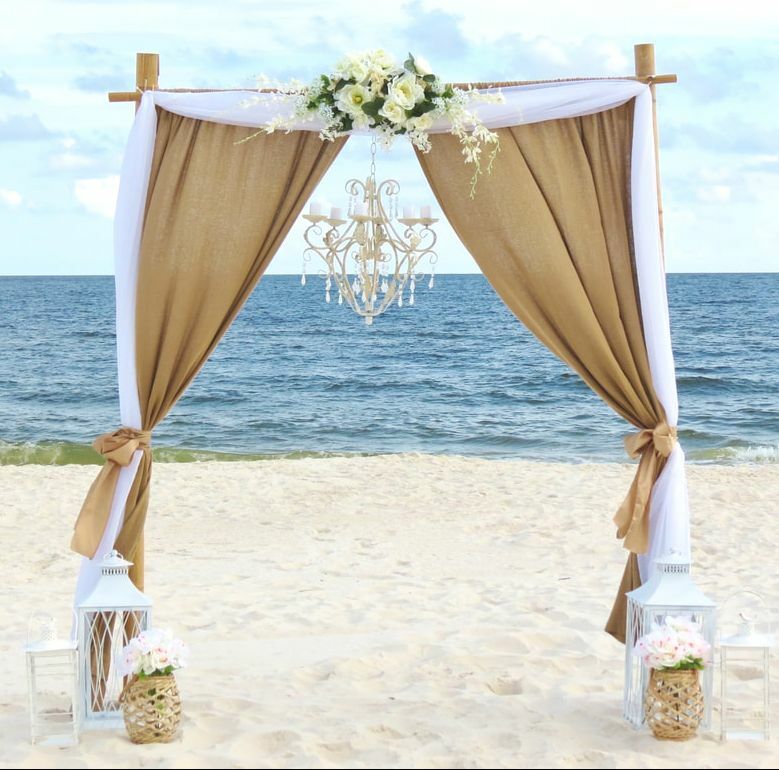 Including Beach Ceremony, Reception Hall, Food, Cake, Service Staff, Music, Photography and more!